This Discover Scuba Dive (DSD) is a single dive experience that will give you a taste of scuba diving, and you don't even need to know how to swim for this. 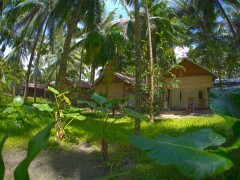 <br><br> This Discover Scuba Dive in the Andamans includes a 20 min training session, and a 45-50 min dive, depending on your air consumption and comfort level. 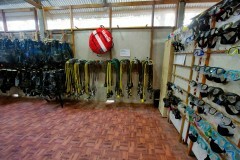 You can dive to a maximum depth of 12 metres or 40 feet. When you're done, you'll receive a Discover Scuba Diving certificate that can be used if you want to do a scuba diving course. <br><br> NOTE: You will be doing this dive from the shore itself. This version of Discover Scuba Diving in the Andamans saves you time because you don't go out in a boat. The entire trip will take you about two hours. 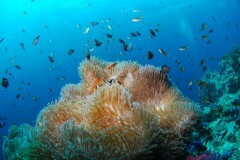 The Andaman Sea offers one of the highest counts of fish and coral species on the planet. Havelock Island itself is an idyllic paradise with white sand beaches fringed with coconut groves, and blue, blue water with high visibility. On this Discover Scuba Diving (DSD) trip in the Andamans, you'll be swimming alongside a mind-boggling array of fish and a profusion of healthy, colourful coral. 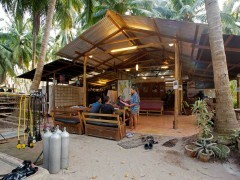 • Dive to 40 feet depth during your Havelock scuba diving session. 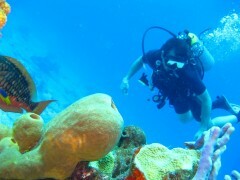 • Get comfortable with a long, relaxed session of scuba diving. • Take home underwater photographs of youon the best adventure of your life. Participants should be in good health for Discover Scuba Dive (DSD) in Havelock, with no pre-existing medical conditions, and have basic to moderate fitness. If you have respiratory or cardiac conditions, please check with your doctor before booking a scuba diving trip. For Havelock scuba diving, you'll be entering some of the most untouched waters in the world. Please avoid littering, damaging coral, or touching fish. <br><br> You will receive a full briefing before scuba diving sessions begin: please follow instructions as they are devised for your own safety and that of the people around you. <br><br> If the operator believes you are intoxicated or in any way unfit for scuba diving, they may refuse to let you participate. This is at the discretion of the operator. <br><br> Please allow 24 hours after completing your scuba diving session before you fly. Your body needs this time to recover. For cancellations of your Andamans DSD scuba diving trip 30 days before departure: Full refund will be given, minus any transaction charges.<br><br> For cancellations of your Andamans DSD scuba diving trip 15-29 days before departure: 50% refund will be given, minus any transaction charges. <br><br> For cancellations of your Andamans DSD scuba diving trip 15 days or less before departure: No refund will be given. <br><br> No show: No refund. After a participant's booking is confirmed, they will receive a detailed Medical Questionnaire form to be filled in. If they answer Yes to any of the questions, they will have to get a doctor's clearance on this document for Discover Scuba Dive (DSD) in Havelock. Having pre-existing medical conditions does not preclude anyone from Discover Scuba Dive (DSD) in Andamans, it just means that the diving instructors and staff are better prepared and can create an personalised experience. <br><br> The operator conducts scuba diving in Havelock even in the rain, so there is very little chance that the itinerary will change due to weather conditions. However, if it is deemed unsafe to go scuba diving, the schedule may need to change. Dive India reserves all rights to change the itinerary even after a booking has been made to ensure complete safety of its customers and staff. The typical day for Discover Scuba Dive (DSD) diving in Havelock begins like this: wake up bright and early, and eat a normal breakfast before reporting to the dive centre by 08:00 a.m. You'll be asked to fill in some documents, and will be fitted for gear. After this, you'll meet your instructor and get a short briefing session. 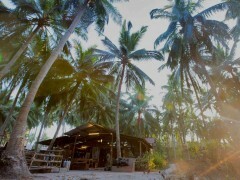 When you're ready, you'll wade out into the water for your Discover Scuba Dive (DSD) in the Andamans. Enjoy your time in the water as you admire the vibrant colours and marine species. When your dive is over, you'll be ready to book your next! Your Discover Scuba Dive (DSD) ends after this.